Oncology Hematology Care is working to change the way we diagnose, treat, and even think about cancer by contributing to a national study called GRAIL. The goal: an outright cure. GRAIL is a part of what we call circulating cell registries, which are a part of a grander strategy of cancer research. In those clinical trials the question becomes: Can you identify circulating DNA? We know that as tumors grow they shed into the bloodstream tiny fragments of their DNA. We also know there is something about this cancerous DNA that is different from your normal DNA—it’s what is driving the malignant [cancerous] behavior. 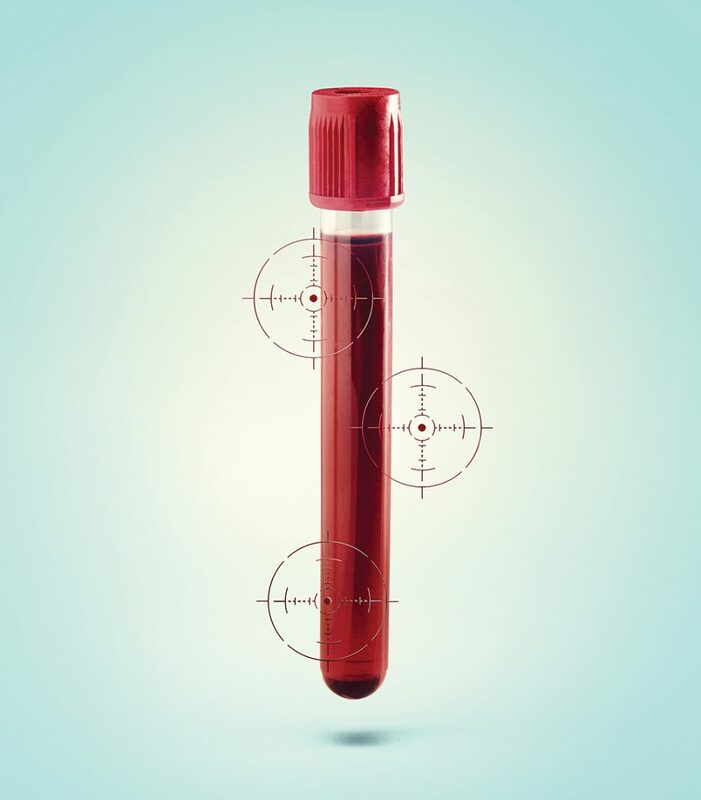 If you could reliably measure that in the blood and compare it to the actual DNA of the tumor and show that they are the same, then immediate uses could be, for example, a liquid biopsy. Imagine if you didn’t have to go and have your liver biopsied or lung biopsied, or a woman didn’t have to have her breasts biopsied. You could just do a blood test. Better than that, if you can measure DNA at a microscopic and cellular level, you can now detect cancer before it’s even clinically identifiable. So these then become cancer-screening tools. Take it a step further: We now have technology to genetically engineer DNA—CRISPR, for example. It is not very far into our future that we will start genetically engineering out [cancerous] diseases altogether. The original target population for GRAIL was about 10,000. I believe it recently increased to 15,000, and I heard they plan to expand it to 20,000. They have funds to go well beyond that. Some of the sponsors are the Gates Foundation, Google, and Amazon. They are all pooling together on this. It’s sort of cool. This is a national study because no one site can collect this quantity of information nor do you want them to. People who live in the tri-state may not be the same as people who live in New Mexico and may not be anything like the people in Detroit. We have to collect from everywhere if it’s going to be applicable to a full, real-world experience. We are accepting people with all types of cancer—and normal controls too. We are finding out, for example, that there is DNA shed from white blood cells that is confusing the signal. So we are getting not only people with cancer but also healthy volunteers who don’t have cancer. You have to put patients on GRAIL before they initiate cancer treatment. We take eight tubes of blood, a little piece of the tumor, and then send it off to a centralized location for sequencing. We also get permission from the patients to track their electronic medical records. That allows you to go into that database, which is important because down the road they will find factors that we didn’t even know are significant now. We’ve been involved in the study since it opened. I’ve personally put 50 to 60 patients on GRAIL. Patients love it; it’s amazing how altruistic they are. I say there is nothing immediately in it for you: you’re just donating your blood, allowing us to test your tissue, and track your outcomes. And it’s amazing how much they want to do something not just for themselves, but for their children or their grandchildren or generations to come. It’s stunning. It’s especially interesting because in a moment of total crap they get to do something good. That’s rewarding in a very spiritual way.